Are You Being left Out? With over 25 years of Forex trading experience, I have made numerous trading mistakes and tried just about every indicator and system out there. 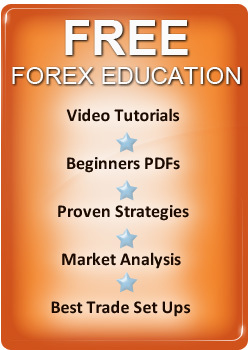 Here you will find the forex trading tools I have found the best for building long term wealth. The tools we use are easy to understand, easy to apply - you will understand exactly how and why they work now and will continue to work in the future. We will also show you the tools in action each day, in our Forex Profit Update so you can learn alongside us in real market conditions. Tips on the best trading strategies and a free currency trading system, you can download which has been making profits for since the late 1970s and will always catch all the big trends for profit. Simply go to the free info section and download it for free. You can also get free daily research and best trade set ups and daily lessons and tips on our blog. Our site has all the best strategies and methods and we also, review all the top traders of all time so you can get profit tips, from the worlds top traders. You will notice that we stress that trading should be simple and you should avoid complex trading systems and despite what many other people will tell you, this is true and supported by the facts. The same number of traders have always lost money ,so this means that complex trading strategies and systems have not increased the ratio of traders who win to those which lose. This is because, trader psychology is the vital ingredient for success and you will find a huge amount of info on this site on getting a winning mindset. Your mindset is the key to your success. While many say Forex is a mathematical market moving to a set order – its pretty obvious that it's not and is a market made up of people and their emotional beings. Its emotion which causes, the same number of traders to lose all the time so if you get the right mindset, your all set for currency trading success. We hope you enjoy our site - if you have any questions or queries, please do not hesitate to Contact myself or any of my team and we will be delighted to hear from you.